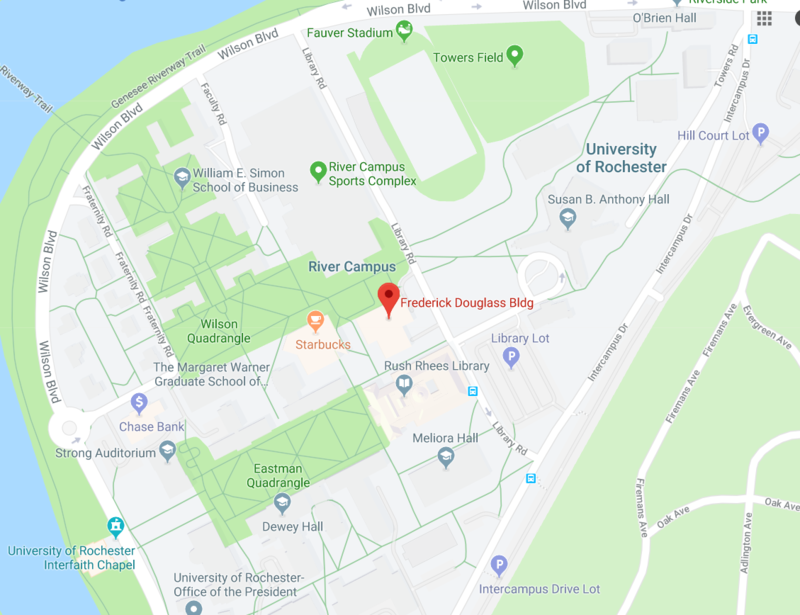 SIMCON 40 will be held in the Frederick Douglass building on the University of Rochester campus. See the below Google Map for more details and directions. The SIMCON Registration Desk will be on the second floor inside the ballroom. 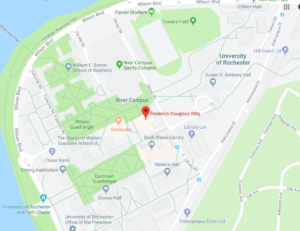 To get there from Library Lot walk to the right of the library passed the first set of doors under the Meliora sign, then turn right before the stairs. Parking in Library Lot and Intercampus Lot will be free all weekend beginning after 7:00PM on Friday. For guests arriving before 7:00PM, talk to the gate kiosk at the entrance to campus and ask for a single day parking pass.